Professor Tibbles is an authority on health law issues and legal ethics. He has written in the biomedical ethics areas of informed consent, definition of death, refusing life-prolonging treatment, reproductive rights, and human experimentation, as well as in other medical-legal topics, property, and governmental grievance response mechanisms. He is a speaker on medical-legal topics and is a past recipient of a National Endowment of the Humanities Fellowship to study the prolonging of life when there is no hope of recovery. He was a Fellow in Law, Science, and Medicine at Yale Law School from 1974 to 1976. Professor Tibbles has been a member of the Capital University Law faculty since 1976 and teaches Professional Responsibility, Health Law, Bioethics and Law, and Public Health Law. He served as Associate Dean for the Law School from 1986 to 1990 and is director of the Ethics Institute. Professor Tibbles is a past chair of the Ohio State Bar Association Committee on Legal Education and was a member of the Special Commission on the Education of Lawyers. 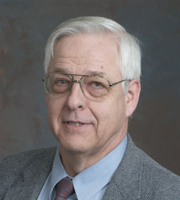 He was the chair of the Capital University Research Review Committee for many years. He has been a member of the Professional Ethics and Grievance Committee of the Columbus Bar Association, which investigates violations of attorney disciplinary rules. He currently is a member of the Nationwide Children’s Hospital Institutional Review Board (IRB), which reviews protocols for research involving children on issues of human subject protections. He is a member of the Ethics Advisory Committee for Community Based Services for the Ohio Health hospital system. He is a member of the Honoring Wishes Task Force of the Midwest Care Alliance, which is preparing legislation on the POLST Paradigm on issues of life-sustaining medical treatment, to be introduced in the Ohio General Assembly. He is a member of the Health Law and the Professionalism Committees of the Columbus Bar Association. He was recently appointed to the “State Law/State Bar Associations” work group of the American Health Lawyers Association (AHLA) “Best Practices for Health Law Curriculums” project. He is working to develop a “Medical-Legal Partnership” program with local hospitals and Capital University Law School.